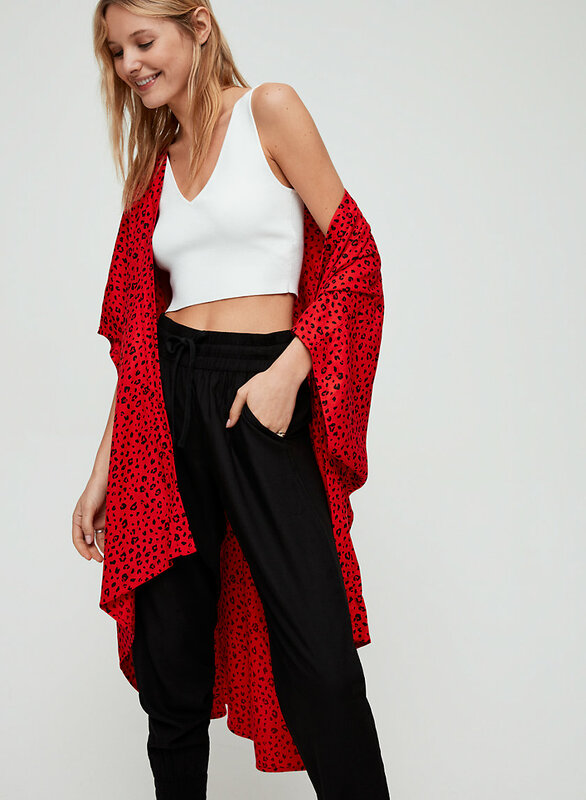 Styled with raegan tank and grenville pant . 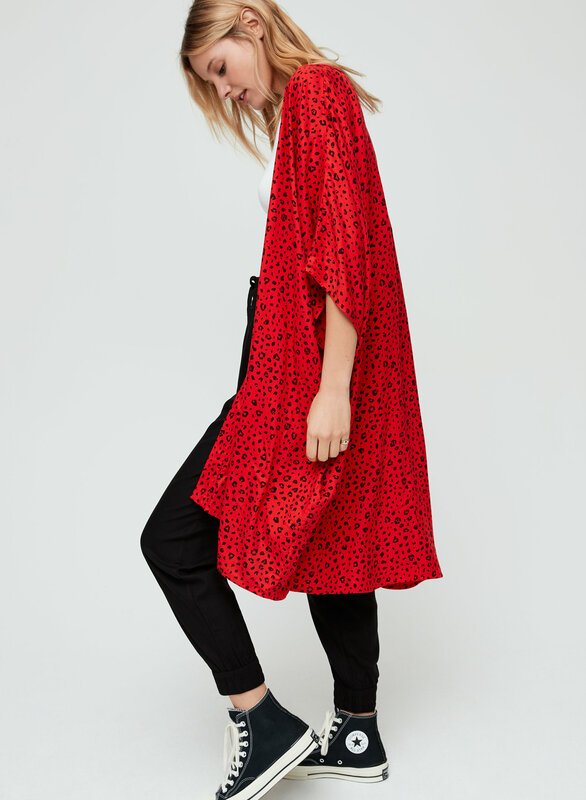 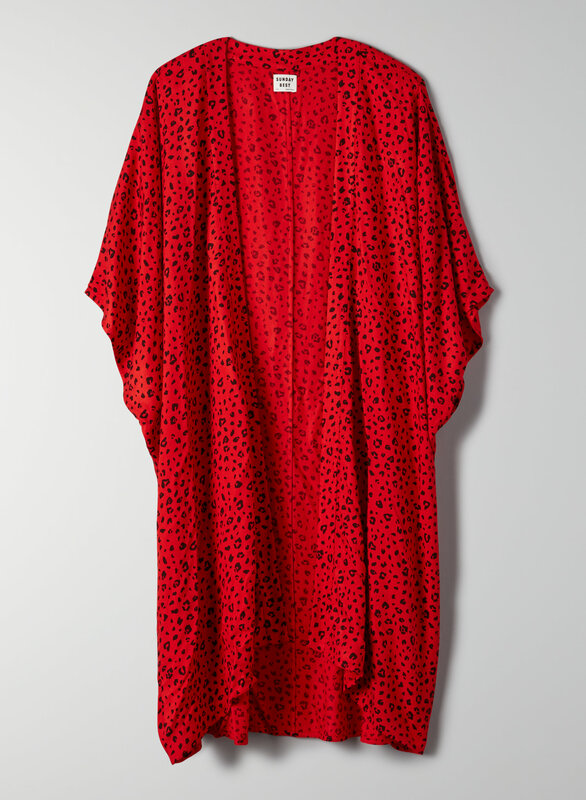 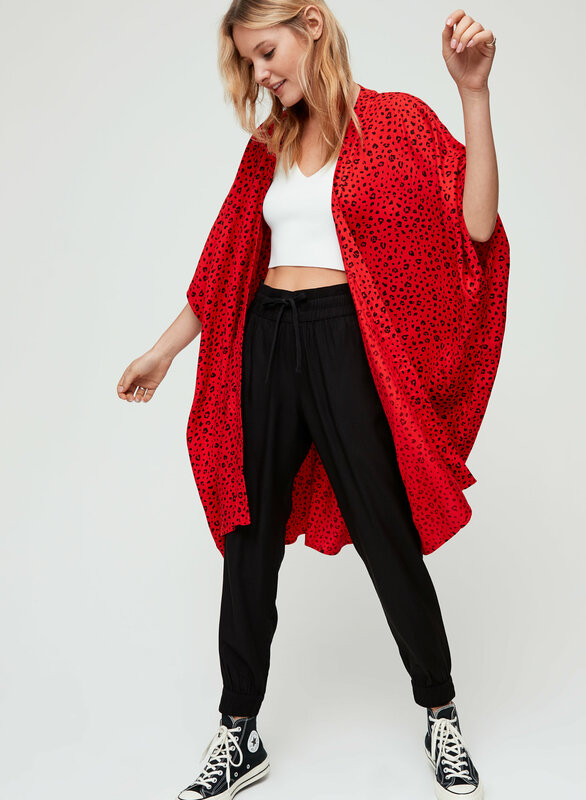 This is a long kimono with 3/4 sleeves and a hem that hangs slightly longer at the back. 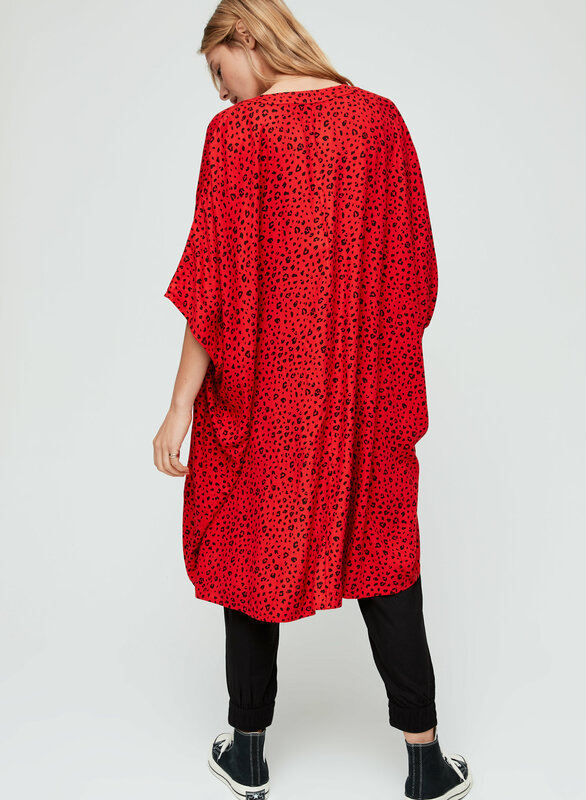 It's made with a lightweight twill that drapes beautifully. 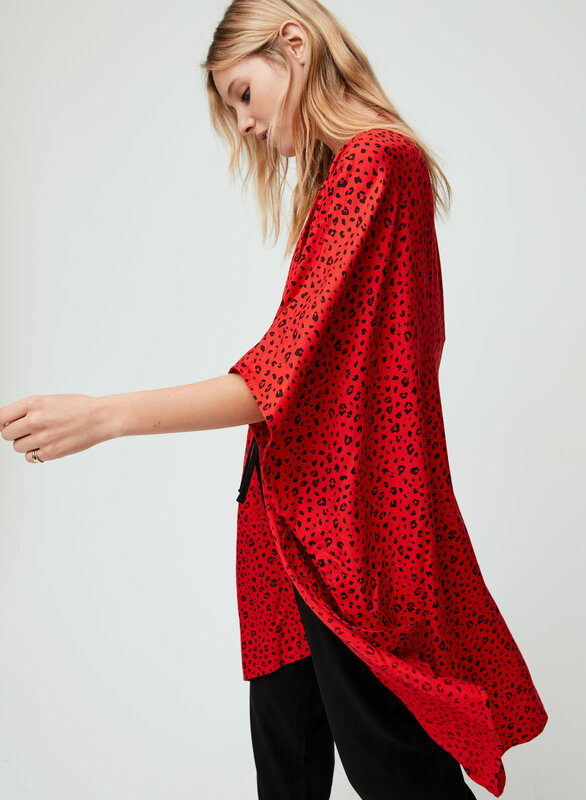 This version of the Aitken comes in a simple leopard print.